The only constant is change and change is difficult for most of us – humans and organizations alike. However, change is necessary for growth and, when harnessed properly, leads us to being more efficient and maximizing our potential. That’s why it’s important to learn how to be a change agent. Let’s define some core terms so that we are all talking about the same things in the same way. Formally, change management refers to a systematic approach to handling the transition or transformation of a set of (institutional) goals, processes or technologies. Organizational change management (OCM) normally refers to a framework for managing the impact of new (business or technology) processes, updates to organizational structure or cultural shifts within an institution. John Kotter’s 1996 book on “Leading Change” outlines one of the more widely-used OCM models in use today. If this topic intrigues you, then Kotter’s 8-step change model is worth examining. The purpose of change management is to implement strategies for effecting change, controlling change and helping people to adapt to change. A change agent is a person or group that facilitates the change process in an organization. The change agent is viewed as that entity that motivates, inspires, catalyzes and potentially leads the change process in hopes of a positive outcome. If you are the change agent for your group, team or organization, then there are five things you have to do to be effective. The source of most of the angst when it comes to change management is people. People will be resistant. Know this. Appreciate this. Be comfortable with this. Then determine ways that you can slowly chip away at this resistance. The first step is to identify your allies. Find the long-standing employees who have some degree of influence in the organization and partner with them. When colleagues recognize that a long-standing team member is on team change, they will be more willing to accept the changes rather than oppose them. Most change management books will highlight the importance of creating a powerful vision. This emphasis is warranted and the advice is sage. However, it is more effective to have leadership and other influencers collaboratively working with you to craft your desired end-state. The vision needs to be a co-creation with everyone feeling like they contributed and own the end result. Your vision needs to be easily understandable, to inspire action and to focus attention. Frequent and consistent communication of the vision is one of the key strategies that will help you further erode the resistance that you will face. You and your allies can never talk about the vision too much. Getting people bought into the idea of changing is vital. Steps 1 and 2 would have helped you get your allies and leadership co-creators bought in. However, you not only have to launch an awareness and feedback campaign for all affected, you have to ensure that the most senior leader is on team change and spreading the same good news. Change management initiatives have a very high probability of failure when the top leader is not on board. They have to be bought in, actively communicating the vision and demonstrating with their actions that they are supportive and enabling the change. Also colleagues that feel outside of the sphere of this cool, new change are more likely to exhibit even more steadfast resistance. This is why it is crucial for them to be heard and provide feedback on the path forward. Once you have the vision in a solid state and there are enough people bought in, then it is time to create your execution plan. Be mindful of time and deliverables in your action plan. People will not wait for nine months to see the effect of your plan. You need to produce, demonstrate and constantly share tangible products to the organization every one to three months. This process will build the momentum, support and excitement for change that you will need to fuel the successful execution of your plan. It also reduces the resistance you will face as you move forward. Not only do you have to embed the changes made on the path to the vision, but you have to take steps to make change management a normal part of work life. Identify and use the levers available to you and your allies that can gently nudge people to continuously question and improve. For example, when doing efficiency evaluations of your human resources team, a useful lever to ensure continuous improvement would be to have a mandatory step that forces the HR team to do a re-examination of current policies and procedures in order to determine current relevancy and potential optimizations. In the end, change is not easy for most. Being a change agent means that you will force those around you to think more critically and hopefully re-evaluate their existing behavior and ways of doing things. Given that most people become set in their ways after a certain period of time, this will be extremely difficult (and near impossible) for some. As a change agent, you have to be okay with this. If you are brought into an organization as a change agent, be honest with yourself and know that the probability of you being in that organization to see the effects of your fully-executed plan is pretty low. 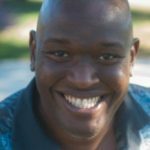 If you are change agent with a long track record within an organization and a good reputation, recognize that steady and deliberate progress towards the end goal is the approach that will likely yield the most successful outcome. Whatever your situation as a change agent, know that it is hard and important work and that the world needs you to keep going. 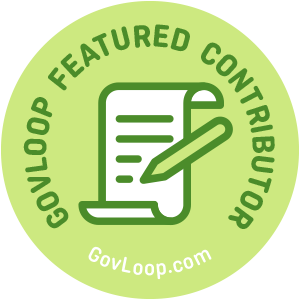 Tyrone Grandison is part of the GovLoop Featured Contributor program, where we feature articles by government voices from all across the country (and world!). To see more Featured Contributor posts, click here. Change can be so hard culturally on a team, this post had some great tips to overcoming those barriers! Thanks for reading. Lots of hard lessons learned. Hoping this helps others. Cool post. Thanks for sharing!